Bedrooms: 3 "2 Above Grade, 1 Below Grade"
Garage: "Driveway/Parking: Paved circular driveway"
Basement: Yes, Walkout "Full, Fully Developed, Walkout"
Size: 1,748 sq. 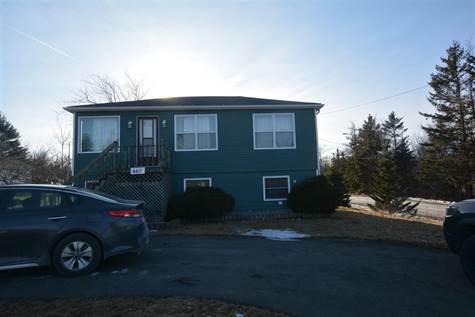 ft. "Total Finished SqFt: 1748, Dimensions: 28x33"
Lot Size: n/a "9800 SqFt"
This well-maintained raised bungalow sits on a large R2 lot and has the potential to become a set of flats if so desired. This home features a sunroom, off the kitchen and dining area, that is where you will want to spend your mornings having coffee and relaxing in the warmth of the sun. The main floor features a friendly open kitchen dining area, a large living room, two bedrooms and a full bathroom. The lower level houses the master bedroom, a huge rec room with propane stove and a large combination laundry and four-piece bathroom. The lower level has a walkout to the yard and has the potential to become an in-law suite or a rental unit or a teenager’s paradise. Call now to view!